Kyle Anderson, University Unions, gave the gift of life to his friend and pastor by donating his kidney. Read more about this touching Alcalde story, check out our “In the News” section. 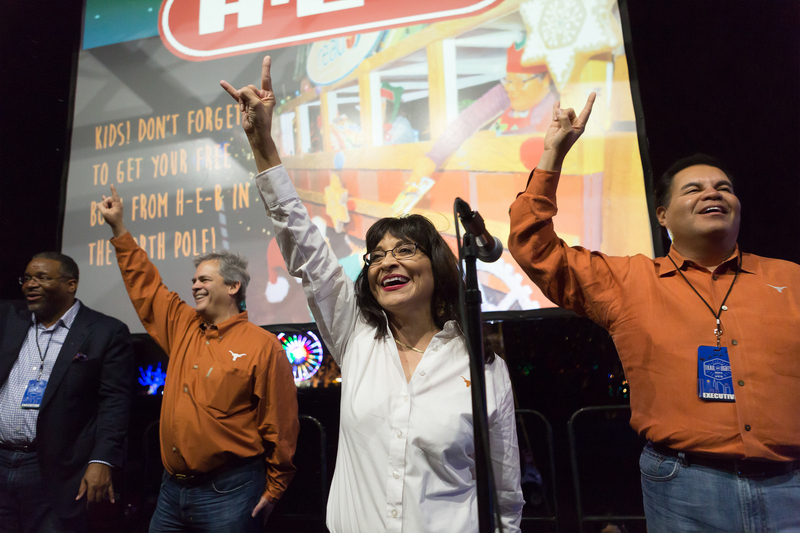 Edna Dominguez, Office of the Vice President for Student Affairs, helped kick off UT Austin Night at the Trail of Lights on Dec. 11. She joined Dr. Greg Vincent, vice president for the Division of Diversity and Community Engagement, City of Austin Mayor Steve Adler and Mario Espinoza, Trail of Lights Foundation, to welcome the crowd. The second annual event showcased talented UT Austin student performance groups. See the photos here. 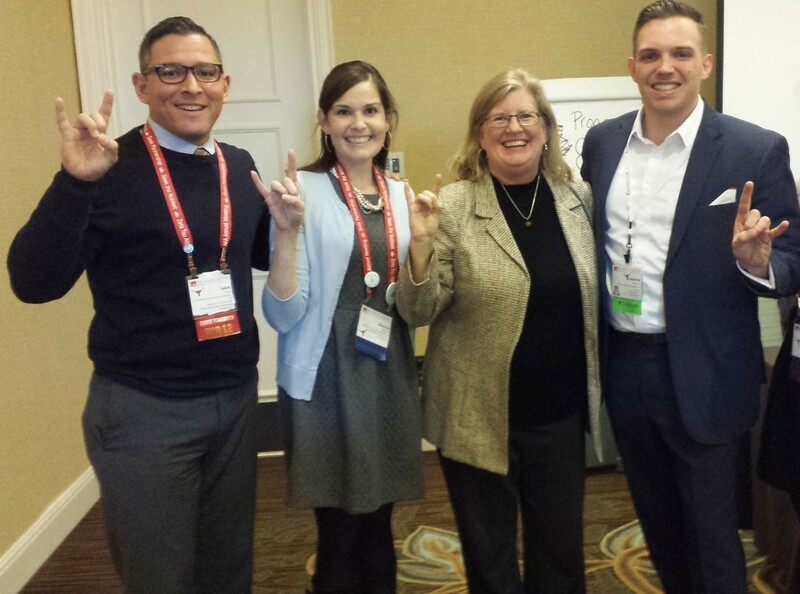 Dr. Melissa Eshelman, Counseling and Mental Health Center, made the 2015 Texas Monthly Super Doctors® list. She is also named in the Guide To America’s Top Psychiatrists, a list compiled by the Consumers Research Council of America. Melanie Grice (Housing and Food Service) (fourth from right) celebrates with other graduates. 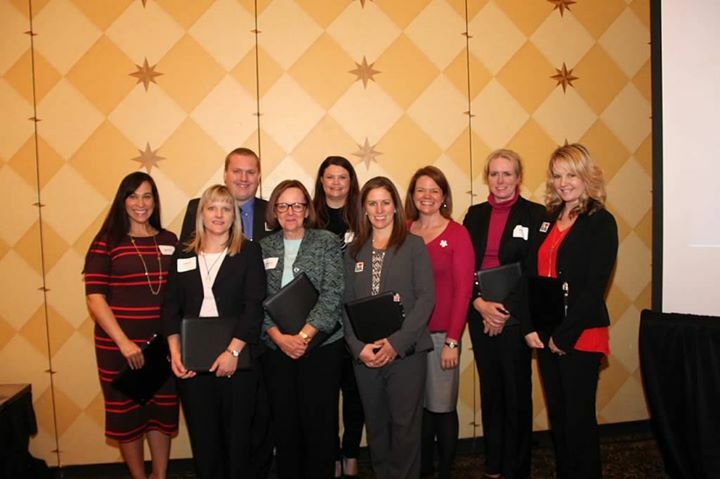 Melanie Grice, Housing and Food Service, graduated from the Austin Human Resource Management Association (AHRMA) Stepping Stones to Enhanced Leadership program. She was one of nine local Human Resources (HR) professionals who attended the graduation. 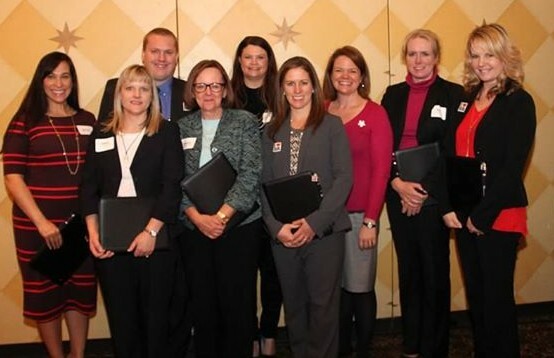 The nine-month program provides professional development and HR recertification credit, as well as helps employers improve employee engagement and retention and creates a pipeline of leaders for AHRMA’s Board of Directors succession planning. 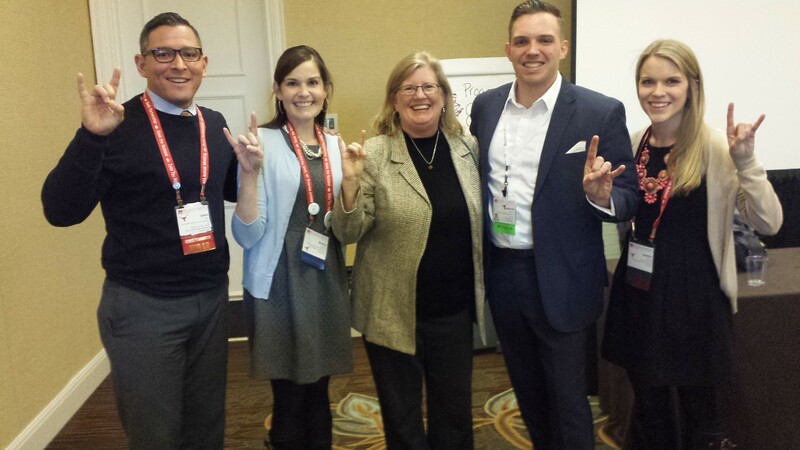 William Mupo, University Health Services, went the extra mile to foster his student assistants’ professional development. He arranged for his students to meet with the Medical Director and team at the Dell Children’s Hospital Activating Children Empowering Success (ACES) Clinic. The group toured the facility and discussed best practices in behavior change. They also attended Grand Rounds, a standard practice in medical facilities where recent cases are presented as an educational opportunity for doctors, residents and medical students. Dr. Sam Shapiro, Counseling and Mental Health Center, passed the board certification exam in forensic psychiatry. This subspecialty of psychiatry focuses on the relationships between psychiatry and civil and criminal law.